It seems there are never enough chairs for entertaining, but they take up so much space in the average home or apartment. 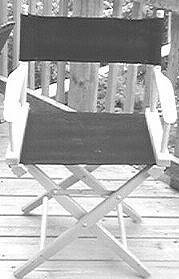 Folding chair plans make extra seating accommodations an inexpensive and space saving project. There are plans for both fold-up models and break down styles, as well as a director's chair model that uses inexpensive canvas or decorator fabric for the seat and back. 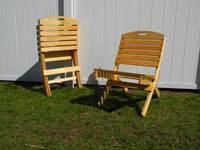 Use folding chair plans to make simple chairs for your home, deck or patio. Choose fine wood for an elegant look to dress up plain chairs. If extra seating is a problem for your outdoor living space, select redwood or teak for chairs that withstand the elements. 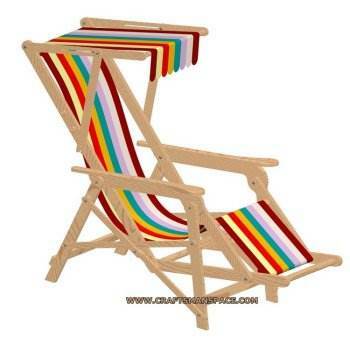 Using UV treated outdoor fabrics adds a decorator touch and is a longwearing choice for deck chairs. 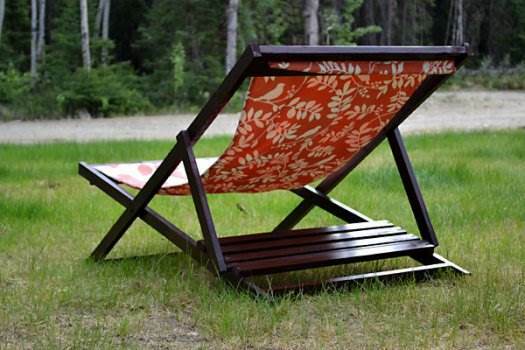 Build this vintage style folding beach chair with canopy for keeping it cool. 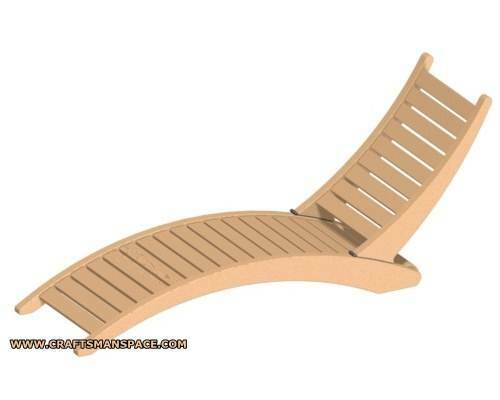 Relax outdoors in this all-wood sun lounger that folds-up neatly when not in use. 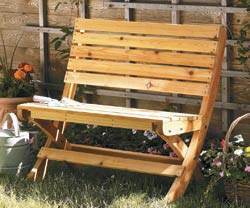 Wooden slats are attached to a strong wood frame for a comfy garden chair. 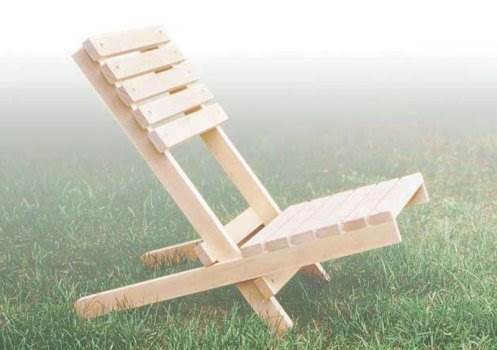 This plan is for a comfy patio chair that is built using wood, glue and a rubber mallet. 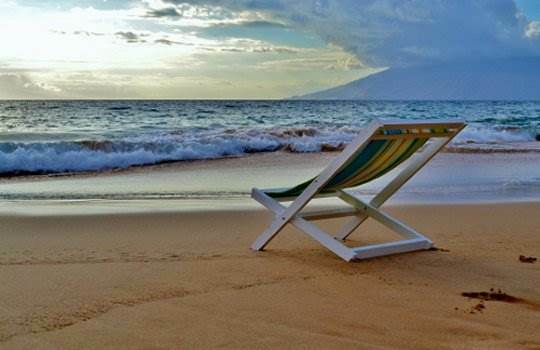 Take the comfort of an Adirondack chair with you anywhere using this plan. With a small amount of wood and a piece of canvas you can make comfy outdoor seating. 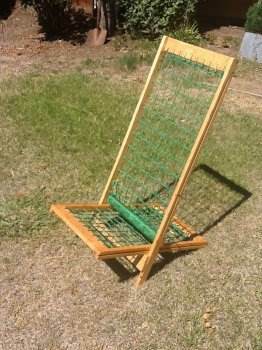 You can easily build a folding sling chair for your child using this simple tutorial. 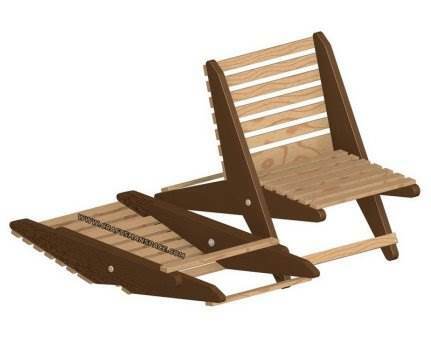 Build this strong and sturdy lounger that is both comfortable and good looking. This plan is for a foldable slated chair that is perfect for outdoor seating. 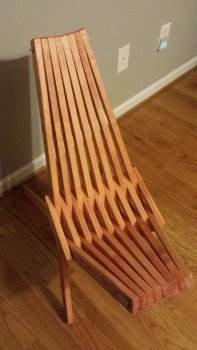 Here is a plan for building a wooden chair that is extremely easy to make. Build a wood frame then add some woven rope for handy portable seating. This wooden chair has a unique style and is easy to build using these instructions.